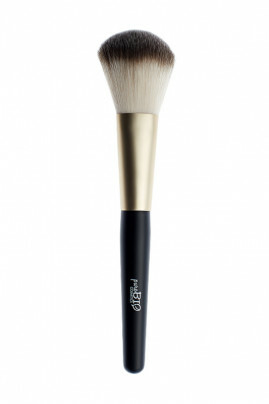 The Purobio Powder Brush is ideal to fix your makeup powder! Made of synthetic hair, its long and ultra-soft hairs allow you to apply your mineral or compact powders. A BEAUTIFUL COMPLEXION WITH THE PUROBIO POWDER BRUSH! Take some compact powder or mineral powder with PUROBIO Powder Brush, tap off the excess and apply on your face from the center going outwards (compact powder) and using circular motion (mineral powder).